A few years ago, you wouldn’t have gone to the Vermont International Film Festival expecting to see Troll 2, a hilariously inept “horror” film from 1990, and a documentary exploring its status as the Best Worst Movie. Or The House of the Devil, a campy-looking satanic scarefest. Or, for that matter, a likely Oscar contender such as Precious: Based on the Novel Push by Sapphire, which won’t be in theaters until next month. Founded in 1985, VIFF is, according to its website, “the world’s oldest environmental and human rights film festival.” Past programming reflected that with a focus on serious-minded documentaries. Activism and education still govern some of VIFF’s programming, but a new selection process and a partnership with Harold Blank, owner of the Palace 9 Cinemas in South Burlington, have made it look more like a mini-version of a big-city festival, with a heavy helping of plain old entertainment. Board president Ellis says the number of films hasn’t increased significantly from last year, when audiences had just four days to see them. But each screens several times, allowing people “to access the films a lot easier.” She hopes the new schedule will help the organizers “build up an awareness of the festival” as the week goes on. Another experiment: Neighboring restaurant Zen Gardens will stay open late on weekends for those who want to debate cinematography over hot and sour. What’s to see? Here are some standouts, divided into categories. For the complete schedule and showtimes, go to www.vtiff.org. Plenty of documentaries uphold the VIFF’s human rights theme. Burma VJ profiles the underground video journalists who told the world about the crackdown in Myanmar. 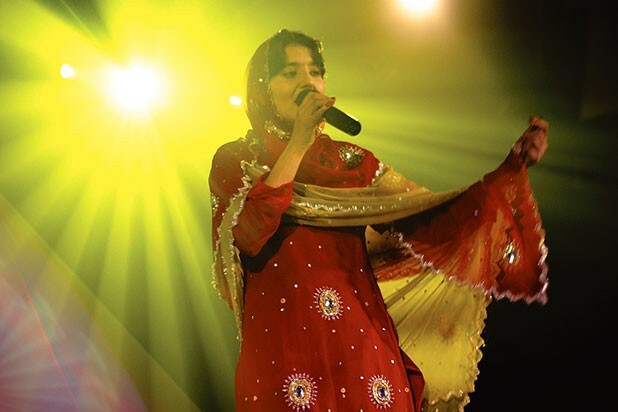 Sundance award winner Afghan Star shows how, in the wake of the Taliban, a TV singing contest can become a radical experiment in democracy. Also fresh from Sundance, Earth Days revisits the beginnings of the environmental movement. A panel discussion with Vermont ACLU director Allen Gilbert follows a screening of William Kunstler: Disturbing the Universe, a profile of the lawyer who represented ’60s radicals the “Chicago 8.” A program called “Films From Cuba: Outside the Mainstream” includes both a doc on race relations and a trio of fiction shorts that satirize modern Cuban life from within. In addition to four full-length, locally made documentaries that have already screened around the state, VIFF is showing six films that portray the Vermont faces of “New Americans” and “Struggles With Adversity.” There’s a repeating program of eight local shorts and another of student work. Prolific Vermont-based actor Luis Guzmán will show up for a red-carpet gala preceding Maldeamores (Lovesickness), a 2007 drama in which he stars. Theater owner Blank, who checks out new movies at the Toronto Film Festival, has snagged some promising ones for VIFF. The Messenger, with Woody Harrelson and Samantha Morton, has an Iraq war home-front theme. The Men Who Stare at Goats features George Clooney as a “Warrior Monk” who believes the U.S. military can triumph by developing psychic powers — yes, it’s a comedy. In the costume-drama realm, there’s The Young Victoria, starring Emily Blunt as the queen, which closes the VIFF. The Vermont International Film Festival runs Friday, October 23, through Sunday, November 1, at Palace 9 in South Burlington. Info, 660-2600.